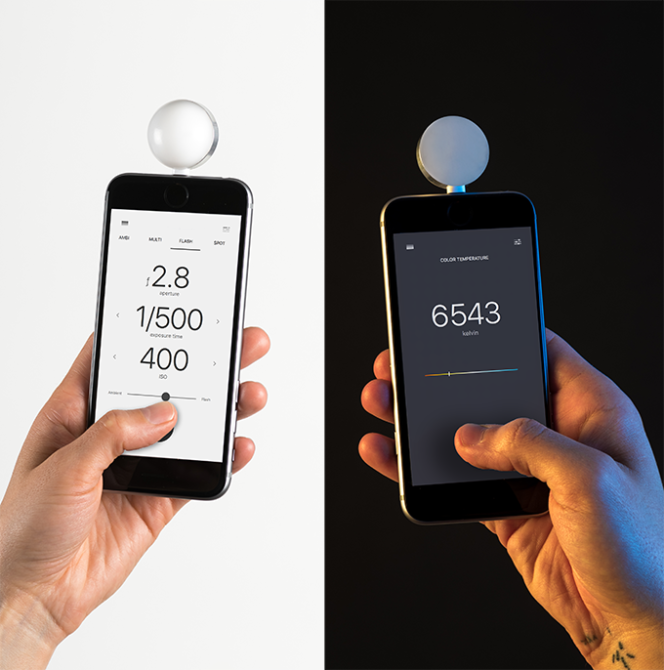 Lumu Labs has started a Kickstarter campaign for their newest light meter! Anyone who uses a light meter knows they are a very important piece of gear. The current offering by Lumu Labs is great because the tiny form factor allowed me to carry the meter in my pocket and than plug into my iPhone. You don’t have to carry around a full light meter which takes up space in the bag. They new version is called Lumu Power! Hit the jump to read about what its going to offer photographers! Plugging the Lumu Power into the bottom of the iPhone and using the Lumu iOS app will allow the photographer to measure white balance, flash power, ambient exposure, illuminance, and color temperature (sadly no CRI). Lumu Labs really wants to keep the end product for the user as simple as possible. “Simple” and “Simplicity” is used in copious amounts on the campaign page. After using their current version and seeing demos on the Lumu Power, it seems that they have, indeed, achieved the simplicity for photographers. Simply plug the Lumu Power into the Lightning port of the iPhone and open the app. The app will know which way the meter is facing and give you the options corresponding to its direction. 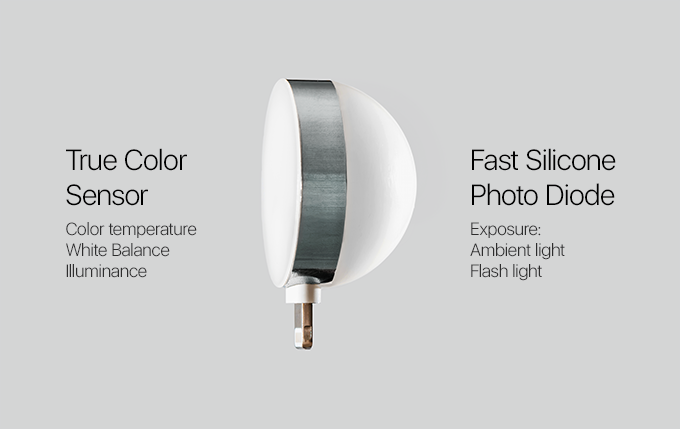 Simple for the end user doesn’t mean its simple for Lumu Labs. They put a lot of R&D into this product and continue to do so. Without getting into the details too much, they have made the light meter very accurate by using two “State-of-the-art” sensors they are claiming are better than the human eyes. Check out this video with some behind the scenes. You can see a lot went into the R&D. Their current light meter has done its job for me. I’ve had it for over a year now and am excited to see the new features coming with Lumu Power. I hope to have a review unit in the near future. And all that R&D does not come with a high price tag. A Lumo Power! will set you back $199 where the cheapest temperature measuring Sekonic is $999. Until then please head over to their Kickstarter campaign page and check out more images and even more information on how the meter works! 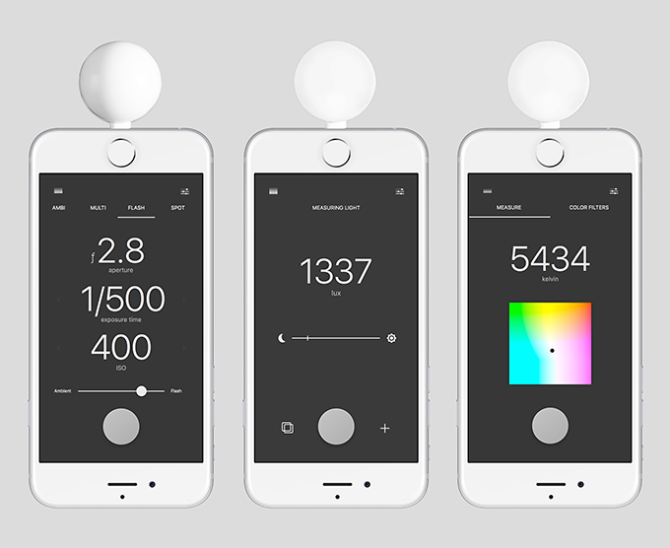 An important note about this light meter is that it will NOT work on devices such as android. Lumu Labs decided to move forward with the lightning connector of the Apple iPhone as well as iOS as their platform. So Android= NEVER. « Samsung Denies Nikon Buyout; Will The Companies Work Together? good job alienating an entire section of people. i’ll just keep using my bulky light meter and praying that i can find one that is smaller, since it’s such a giant hindrance. A light meter for Hipsters that have never had to really take a light reading, thus never truly understand light. This is just another silly thing to spend money on. It’ll work until Apple changes the design of the iphone again, rendering this unit obsolete. Another example of effort being wasted on a useless product. Serious shooters buy a light meter for its reliability, and not on how much a space-saver they are.